Apple has re-introduced two features removed from Workflow following the acquisition while adding new Apple Music actions for interacting with your Up Next music queue. Mozilla, the non-profit organization behind the Firefox browser, has acquired the read-later service Pocket for an undisclosed sum. The deal files as Mozilla’s first acquisition and was confirmed by both Mozilla and Pocket. I’ve been a longtime Pocket user because their elegantly designed cross-platform apps let me easily save stripped down versions of articles from online publications for reading later, even without an Internet connection. Pocket will continue on as a wholly-owned, independent subsidiary of Mozilla. Pocket has native apps on App Store and Mac App Store, plus a browser extension. Filling all three activity rings at the close of day has become a proper ritual and incentive for many Apple Watch owners. Out of the three, the one most likely to botch your hard-earned, months long streak is going to be the blue circle gauging standing times per day. The reasons for it are manyfold, but it often comes down to the simple fact that you cannot pencil in a time slot before or after work to quickly fill up the blue one, as it is contrived to be an achievement realized over the course of 12 hours per day. Standland, an app for iPhone and Apple Watch users, has identified that pitfall of Apple’s activity tracker and plays on it nicely, offering more control, analytics and motivation to get users standing up at least once per hour. 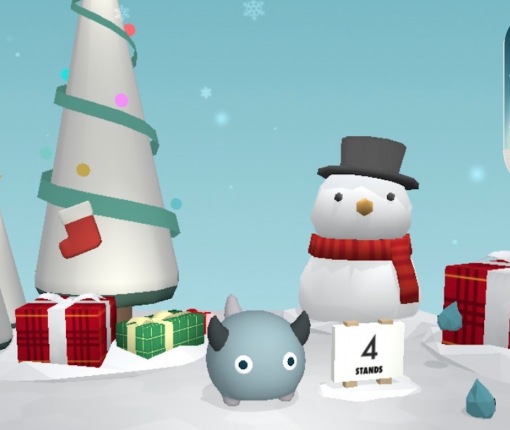 Japan’s iPhone App of the Year 2016 achieves this by serving up a creative blend of pet collection (resemblant of the old tamagotchi days) and fitness curation. Standland can track your standing hours right from your wrist or the inside of your pocket (for iPhone-only users) and has recently been updated for the festive season that is upon us. Follow our review below to find out about the role of in-app purchases and whether or not the stripped-down version of Standland is worth your time. Picture in Picture mode is one of the several productivity-focused enhancements on iPads with iOS 9. This handy feature allows you to watch a video while doing something else. The video plays in a small window overlaid on top of your apps so you can, for instance, browse the web while watching your favorite show at the same time. Developers can decide whether or not they wish to enable Picture in Picture mode in their apps. Thankfully, some of the well-known developers have already implemented Picture in Picture mode in their apps, including Hulu, Pocket, MLB.com at Bat and BBC iPlayer. Popular read-it-later service Pocket pushed out a notable update for its iOS client today, bringing the app to version 5.6.2. The update includes a number of improvements, including support for Dynamic Type and the 1Password extension. The addition of Dynamic Type support means that text in Pocket will now reflect whatever you have set as your system font size preference. And of course 1Password extension support means users can now login to Pocket with Touch ID. Pocket, a read-later service, with a recent Mac app update has completed its support for Apple’s refreshed mobile and desktop operating systems. According to developers last week, Pocket for Mac now includes Handoff and can send stuff to other apps that use the Mac’s new multi-purpose Share menu. It’s Pocket’s largest Mac update in over a year. The iOS edition of Pocket has had Handoff support in place for weeks. And with Handoff now live in the Mac edition of Pocket, I’m not sure how I’ve managed to do without such a useful feature. I’m a huge, huge Pocket fan and use it every day to bookmark and save dozens of articles that I find during the day for later reading. With Handoff implemented in both Pocket editions, I now am able to seamlessly continue reading an article right where I left off on any of my Apple devices (Bluetooth must be enabled). It’s awesome and I couldn’t imagine my daily computing without Handoff. It’s the one feature I use the most, all the time. As I constantly move between my mobile and desktop devices, Handoff removes the friction completely without the mental burden of having to remember where I left off. Handoff is tremendously convenient. It’s fun, easy to use, a time-saver and bridges the gap between desktop and mobile like no other technology before it. And it’s only getting started. Pocket for Mac is available free of charge in the Mac App Store. 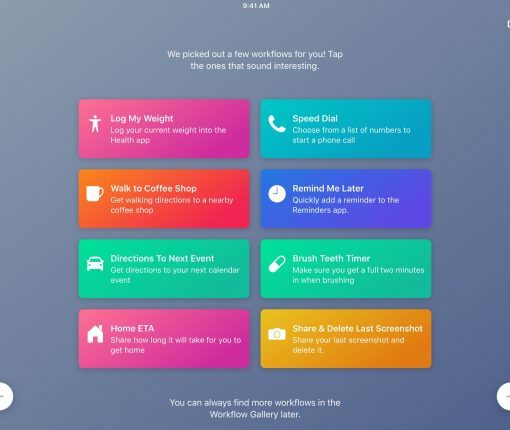 Readdle’s stable of iOS productivity apps — PDF Expert 5, Calendars 5, Printer Pro and Scanner Pro — along with Pocket’s read-it-later iOS app — have received their respective updates Wednesday enabling native support for the new iPhone 6 and iPhone 6 Plus display sizes. PDF Expert’s support for the new iPhone screen sizes arrives ten days after its developer, Ukraine-based Readdle, issued an update turning on iCloud Drive storage support and Touch ID fingerprint-based authentication. In addition to an optimized layout for the iPhone 6 and iPhone 6 plus, Pocket 5.6.1 includes performance improvements and a fix for the Instant Sync push feature on iOS 8 devices. More than twelve million people use Pocket to easily save articles, videos and other piece of content for consumption later. The app also has an awesome iOS 8 Extension so you can send content to Pocket in any iPhone and iPad application which uses Apple’s multi-purpose Share sheet, including Safari. 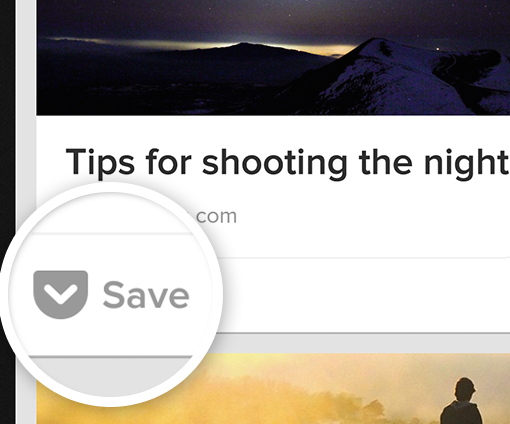 Pocket (formerly Read It Later), is a popular read-later service that lets you save content you don’t have the time to read right now. You can then enjoy saved items later on all your mobile/desktop devices and in the web UI. Saved stories are stripped of all unnecessary graphics, ads and other bells and whistles that clutter online articles. Folks who research a lot like bloggers tend to use read-later services as their central repository of URLs. Last month, popular read-it-later service Pocket took its iOS client global, adding the support of French, German, Italian, Japanese, Russian, and Spanish languages. Until then, the app could only display UI elements (not saved content) in English. Today the service built on that achievement by adding support for 5 new languages, including both Chinese and Portuguese, via an app update. The release, marked as version 5.2.1, also features better support for Medium and other improvements…. The popular read-later service Pocket (formerly Read It Later) has been bumped to version 5.1. The new build adds a pair of useful features and squashes a few bugs (and likely introduces new ones). Now available free in the App Store, the new Pocket 5.1 lets you use your Google account to sign up and log in to Pocket. This tremendously useful feature allows new users to start using the app without too much hassle. Previously, you had to create an account with Pocket before you could use their service. I wish all apps supported standard logins via Facebook, Google, Microsoft and Yahoo. There’s nothing worse than being prompted to create a brand new account with a service – that’s yet another username and passwords to worry about.